Young people and their futures are at the heart of everything we do here at Ynot Aspire. We provide the activities and support you need to dream big. Our projects take you on a journey, arming you with the confidence to unlock possibilities you’ve never even thought of. Our staff and volunteers work closely with you to recognise and develop potential. Together we are one team with one mission – to help you aim high, achieve your goals and grab an exciting future, with both hands. In September 2011 we received 5 years of funding from the Big Lottery Reaching Communities Fund. A 74% reduction in first time entrants to the criminal justice system. Our independent evaluation of our first five years of work reported potential savings to the public purse as a result of the Project are estimated to range from £328,000 in relation to young people prevented from entering the criminal justice system to over £10m in relation to the life time potentially negative costs savings of those  young people, who as a result of the Project have now seen their life chances drastically improve as they are steered away from being involved in anti-social behaviour. Click here to read the full evaluation report. In 2016 we underwent another period of consultation with young people and partners to discover what they perceived to be the gaps in service in Hyndburn and we got a resounding answer: prevention and early intervention around young people’s mental health. This informed our second bid to the Big Lottery and we were awarded a further 5 years of funding from them. 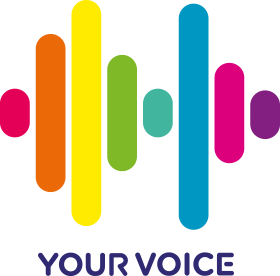 We are still working closely with young people and partners to shape our new Your Voice project to help us to tackle those gaps. You can read more about our plans over the next few years in our Business Plan. Running a range of services and activities, and providing the support young people need in the process, has helped our young people stay in education, training or employment, and stay away from anti-social behaviour and crime. We want to help you build a better life and make great things happen, whatever your ambitions. We wouldn’t be able to do what we do without our expert staff and dedicated volunteers. We’re always looking for volunteers to help us run our projects. It’s a great way to help us out, and there’s a variety of roles available. Help us as much or as little as you like with flexible volunteering opportunities that work around you. If you’re interested in volunteering with us or finding out more about Ynot Aspire, please get in touch. You can also meet our team by visiting the Ynot Staff page.